See it if you can! Moody weather comes with this park’s high-elevation Alaska territory, but you really wouldn’t want it any other way. Why? Because there’s nothing more enchanting than seeing spectacular Denali break through the clouds and present itself. 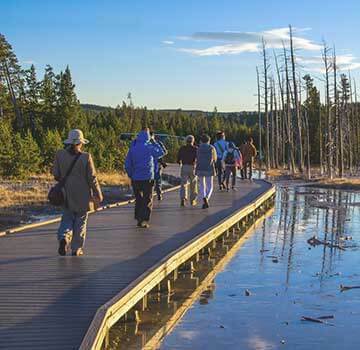 While the mountaintop is surely this park’s focal point, there’s plenty of magic on its flanks, in the park’s pristine lakes, waterways, tundra, and trails. Off the Beaten Path is a big fan of getting you to the heart of Denali to spend a few days, and though we’re not big fans of bus tours, the trip to the interior by big old school bus is one of the world’s best road trips—and is the only way to get to Wonder Lake during the summer. It’s 90 miles through alpine tundra with unscheduled stops for moose, Dall sheep, bears, fox, wolves, and caribou! Denali National Park is on many a travel bucket list. It’s no wonder there are so many tour and travel company choices to make when planning your trip. Off the Beaten Path offers both guided small group trips and private custom trips to Denali, so no matter your preference, you cansee and explore Denali National Park, Off the Beaten Path! Getting to Denali—and all the way up to Wonder Lake—is an experience in itself, and staying for a while is pure adventure. We know the best places to stay inside and outside the park, and our naturalist guides will help you spot wildlife and learn about the balance of nature in this vast landscape. Take the family, take a honeymoon, or just take the time it takes for the Alaska vacation of a lifetime. Denali National Park and Preserve was called Mount McKinley National Park until 1980 when it was enlarged to its present size of about six million acres. The park’s best-known attraction is Denali, formerly Mount McKinley, North America’s highest mountain at 20,320 feet. On a clear day, Denali is visible from Anchorage. 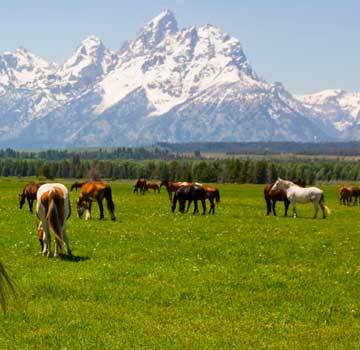 But the reality is that summer weather frequently obscures the mountain, and visitors have about a 40 percent chance of seeing it. You should go anyway. You really need to get to the park’s interior for the best possible views of Mt. Denali and to get a real feel for the expansiveness of this great land. A single, 90-mile road goes into the heart of the park and you can only drive a private vehicle the first 15 miles of it. After that, you must travel by park bus—but it’s a fun and interesting ride, and the drivers have no qualms about stopping for wildlife watching. Those same drivers are fonts of information about the park and its wildlife. Riding the bus to Wonder Lake is a great way to see wildlife in Denali. Just sit back and let someone else do the driving while you watch out for bears, caribou, moose, sheep, and other animals. If you have the fortune to stay inside the park, walks and hikes in the morning and evening may yield exciting sightings. More than 155 varieties of birds have been counted here. Migratory bird life encompasses species from six continents, and includes waterfowl, shorebirds, songbirds and birds of prey. In contrast, ptarmigan, gray jays, and magpies are year-round residents. The mammals you’ll likely see include caribou, moose, gray wolf, Dall sheep, red fox and grizzly bears. A few lynx pursue snowshoe hare in the taiga forests, while marmots, pikas and Dall sheep inhabit the high, rocky areas. The arctic ground squirrel’s sharp warning call is heard throughout the park. 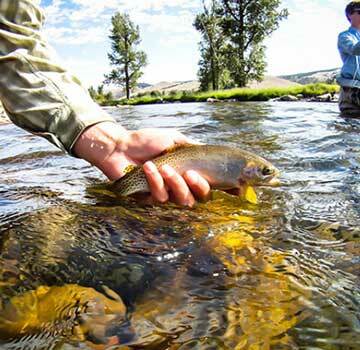 The park’s silted glacial rivers are not an angler’s delight, but grayling, Dolly Varden, and lake trout are occasionally caught in streams and small lakes. This is grizzly bear territory, and the presence of grizzlies excites the imagination of most travelers. As with any animal, survival is their most compelling instinct, so they should never be surprised or closely approached. Hiking is the best ways to experience the wild essence of Denali, for sure. Denali is essentially a park without trails since the country is so open, though most trails are centered around the Denali Visitor Center. For many reasons, we recommend you never hike aloneone being bears and the other weather conditions, which can change so dramatically.